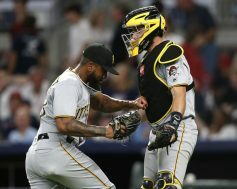 After splitting a four game series against the San Francisco Giants, the Pittsburgh Pirates are wrapping up their road trip with a quick two game series against the Minnesota Twins. 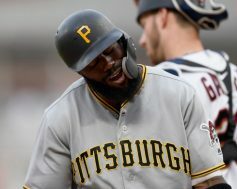 Despite building an early lead tonight, the Bucs gave up three runs in the fourth inning, which would prove to be the difference in a 5-2 loss at Target Field. Jameson Taillon started for Pittsburgh tonight, battling his way through six innings while giving up three runs on seven hits. His mound opponent, Jake Odorizzi, gave up two runs on four hits in 5.2 innings of work. 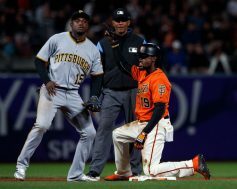 After a disappointing 13-10 loss to the San Francisco Giants on Friday night, the Pittsburgh Pirates desperately needed a strong pitching performance on Saturday. 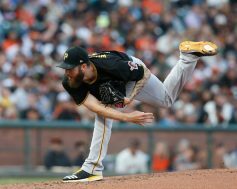 Trevor Williams delivered for the Bucs in the third game of the weekend series, tossing seven shutout innings as the Pirates beat the Giants by a 4-0 score. Williams was dominant tonight, earning his tenth victory of the season after giving up just five hits and one walk in seven innings of work. Keone Kela and Felipe Vazquez each pitched a scoreless inning of relief on the night. 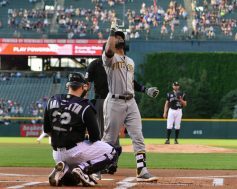 The Pittsburgh Pirates opened their road trip yesterday with a 2-0 loss to the Colorado Rockies. In fact, the Bucs managed just two hits in the entire game, including a double by their pitcher Joe Musgrove. Tonight, the bats came alive early and often, as the Pirates went on to an easy 10-2 victory. Jameson Taillon was solid for Pittsburgh tonight, throwing a complete game, giving up two runs on nine hits. Chad Bettis really struggled for Colorado tonight, giving up nine runs on eight hits and two walks in 4.2 innings of work. 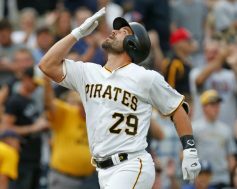 The Bucs’ offense took off in the fourth and fifth innings, chasing Bettis from the game after it was already out of reach. It was a very busy day for the Pittsburgh Pirates. First, they completed two trades to not only bolster their team this season, but for a few years to come. Second, they opened up a short two game series with the division leading Chicago Cubs. Pittsburgh has played well against their own division in 2018 and that continued tonight by defeating Chicago 5-4. Jameson Taillon made the start tonight and was solid in the 6.2 innings he pitched. He allowed three runs on seven hits to go with two walks and two strikeouts. The three runs came on a mistake pitch to Javier Baez who hit a three-run home run in the fourth. Taillon would also work his way out of a few jams to keep his team in the ball game. The Pittsburgh Pirates are on the outside looking in when it comes to a possible playoff spot. With two months left in the season they need to win series if they hope to earn a wild card spot or possibly win a division title. 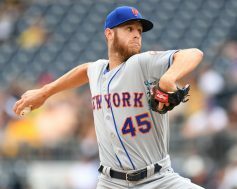 They came into today with a chance of taking three of four from the New York Mets, but Zack Wheeler had other plans in a 1-0 New York victory. Wheeler was strong on the mound today throwing six innings allowing five hits to go along with seven strikeouts and one walk. After he was lifted in the seventh for a pinch hitter, Seth Lugo took his spot on the mound. Lugo worked two innings giving up one hit and striking out a batter. Anthony Swarzak pitched the ninth and struck out two of the three batters he faced, including Elias Diaz to end the game. A few weeks ago, the Pittsburgh Pirates were left for dead. They were well on their way to another disappointing season finishing under .500, with any chance of a playoff appearance nothing short of impossible. Flash forward to the last weekend of July, and the Pirates are one of the hottest teams in baseball. Tonight, they got the best of one of the best pitchers in the league, as they shut out the New York Mets by a 5-0 score. Tonight, the Pirates faced the league’s number one pitcher in terms of ERA, Jacob deGrom, and they battled him throughout his seven innings on the mound. They were able to score three runs on eighth hits off the Mets’ ace. Meanwhile, Trevor Williams earned his ninth win of the year, throwing six innings of shutout baseball. 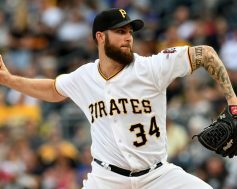 The Pittsburgh Pirates opened their home stand last night with a sloppy loss to the New York Mets. 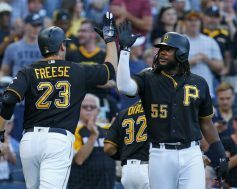 Tonight, they didn’t have their best performance, but they got clutch hitting from the veteran David Freese, who delivered five RBIs to lead the Bucs to a 5-4 walkoff victory. Ivan Nova started for Pittsburgh tonight, battling his way through five innings while giving up four runs (three earned) on six hits with three walks and a strikeout. His mound opponent, Jason Vargas, gave up three runs on three hits with three walks in 4.1 innings.